Granite’s relatively non porous nature makes it an ideal material for any number of surfaces, whether in a bathroom, kitchen, hallway, living room or utility room. Because it is non porous, this helps to protect the surface from staining when it comes to spillages. Unless the granite is tiled and therefore grouted, liquids cannot penetrate its surface in the way that it can other surfaces. 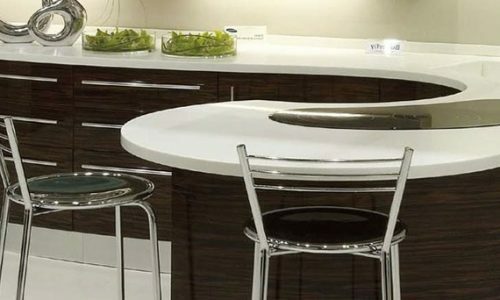 Granite is at the top of the range when it comes to worktops. If you are getting a new kitchen worktop, granite will be an investment in the property as well as a beautiful looking addition to the home. You may choose granite for its natural look. Because it is entirely natural, the stone has to be hewn so that it has a uniformity to it in terms of colour and appearance. There is little technology that goes into a granite surface. Other manmade stones or surfaces that use granite, quartz, marble or other elements with manmade constituents have a certain value in terms of flexibility. Where granite is very solid, other surfaces that are only nine tenths or more natural may be able to bend slightly and react to weight in other ways. However, granite has been quarried for millennia for use in both domestic and industrial applications. It is a time tested surface, and in this regard – in terms of beauty and all else – it is timeless. 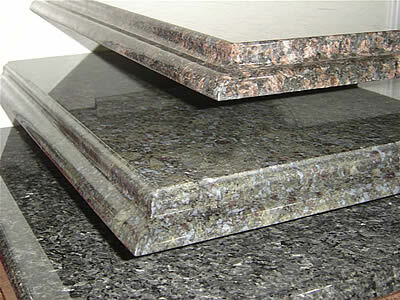 Granite can be used in kitchens and in some bathroom or other applications. Granite is shaped using industrial cutting and finishing equipment in the stone mason’s shop or the fabricator’s factory floor. Depending on the size of the slab that is required, tools such as hammers and bolsters may be used. A hand held router, a grinder or similar equipment may be employed to finish off the edges of the stone. If the style of the granite is very patterned, it may be laid out for inspection by the customer to ensure that they are satisfied with it. Patterns may be regarded as flaws in this regard, and because the customer expects to be using the worktop for perhaps decades to come, it is important that they are happy with it. The best of the stone slabs may be selected by inspectors within the stone masonry company – they are usually selected on the grounds of both quality and appearance. Before the granite is shipped to a home for installation, it may be cut again so that it will fit perfectly into the kitchen or the room in which it is placed. A range of details can be dealt with either at the stone mason’s factory or on site to match up to a kitchen’s design. In order to transport the granite with a minimum of problems, the less excess granite that is taken on the journey, the better. The style of kitchen fittings, such as the sink, the cooker and panelling, may be considered. Edges may be rounded out to make them more fluid looking, or they may be “sharpened” to match a starker environment.